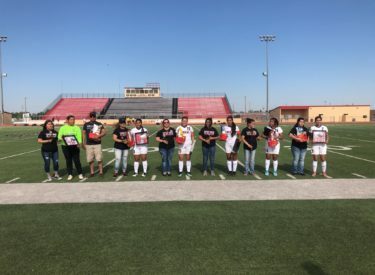 The Liberal girls soccer team won their home finale 2-1 over Dodge City Thursday night at the Gary Cornelsen Sports Complex. Kim Alarcon and Gisselle Melendez scored Liberal’s goals. Alondra Alvarado dished an assist. Liberal is 6-9-1 and finishes 3-4-1 in the WAC. Dodge City is 6-7-2 and finishes 3-3-2 in the WAC. Liberal begins play in the regional next week.